Let The Ice Cream Team brighten up your next event, party, corporate event, ice cream socials, fundraisers, schools, sporting events, festivals, birthday parties and much more!! Corporate Events: Reward your employees with ice cream and watch them become more productive! Book for company picnics, employee appreciation days, company anniversaries, meetings and breaks. Daycare Centers: Nothing makes children happier than the ice cream truck arriving to serve treats. Faces light up as they hear the music of the approaching truck for a scheduled visit. 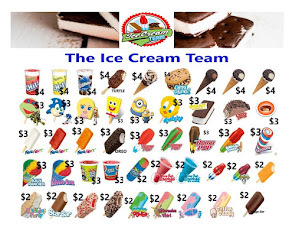 School Events: In addition to fundraisers for your school, the Ice Cream Team can serve school events such as fun fairs, field days, classroom parties, graduations, sporting events, teacher appreciation days, etc. 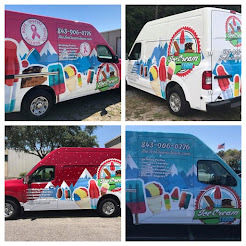 Community Events: The Ice Cream Team's trucks are a great addition to town events such as farmer’s markets, parades, holiday celebrations, firework nights, community concerts, library functions and block parties. Marketing: Ice cream creates excitement! Let’s face it: People will do just about anything for ice cream. 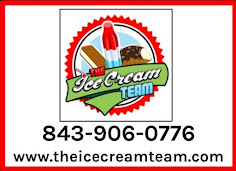 Bring The Ice Cream Team on board to help promote your business or product. You will be pleasantly surprised with the results. Ice Cream Truck Party: For outdoor events at a scheduled time with a dedicated ice cream server. An ice cream truck may be the best solution. Our service is simple, straight forward, and allows flexibility to handle your next event —big or small. 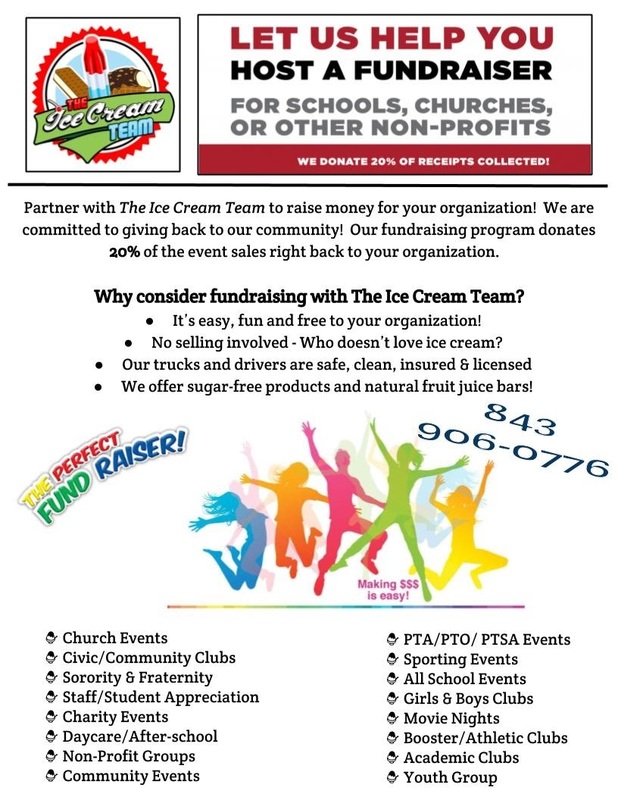 FUNdraiser Program: Want to raise money for your school, daycare, sports team, event or organization? Let The Ice Cream Team help with our FUNdraising Program – it’s incredibly easy, fun and sweet! Get Ready for the Big Event! How It Works: 1) The Ice Cream Truck(s) arrives before the event starts. 2) Raise money quickly with little or no effort. 3) Receive a % of total sales after the event. 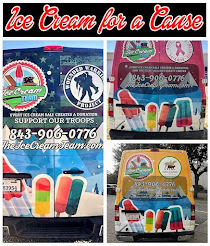 Book an ice cream truck for your next fundraising event! Our selection of premium treats is sure to draw a crowd and you get a portion of the profits! All you have to do is select a date, and we’ll bring you the ice cream. Perfect for school fundraisers and Parent Teacher Organization events!